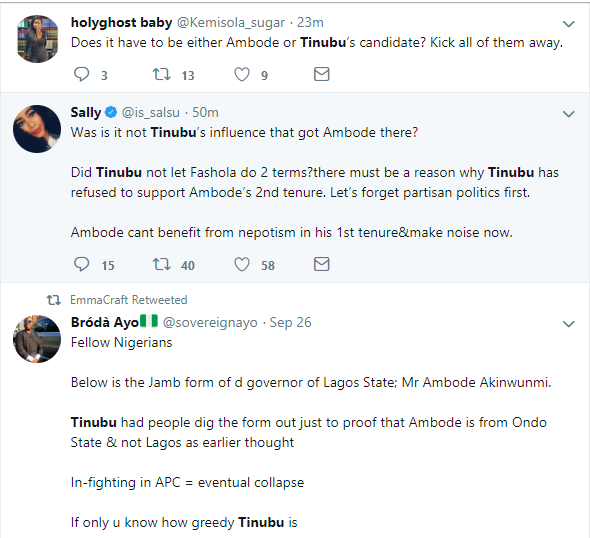 Home > POLITICS > See What Nigerians Are Saying About Tinubu's After Ambode's Press Conference. 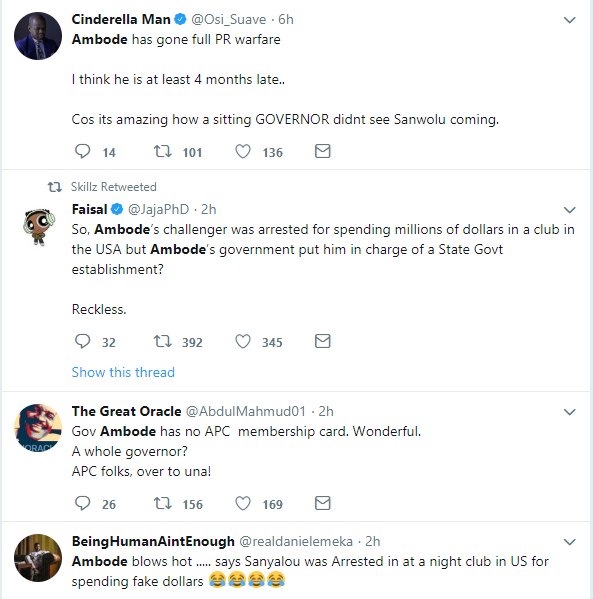 See What Nigerians Are Saying About Tinubu's After Ambode's Press Conference. 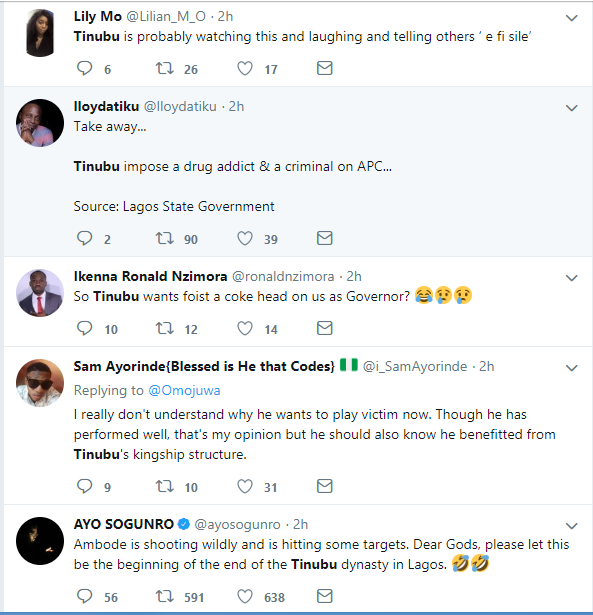 Nigerians have taken to social media to react following the allegations made by governor Akinwunmi Ambode against another aspirant in the All Progressives Congress (APC) in the state, Babajide Sanwo-Olu, whom he claimed he's not fit to govern Lagos state. 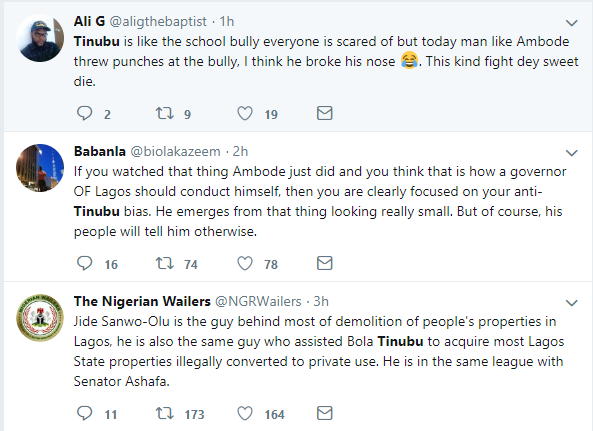 Mr Ambode, who has been in the eye of the storm, stated this while addressing a press conference at Government House, Alausa, Ikeja. 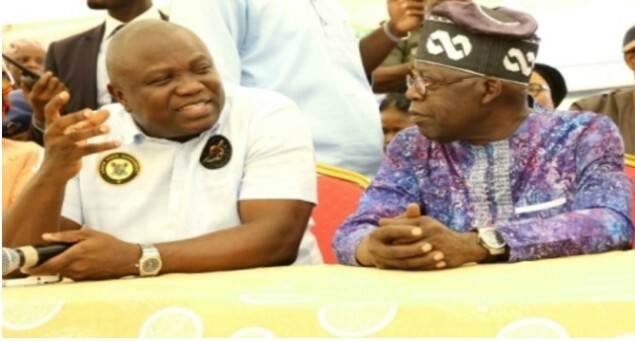 He said the aspirant was arrested for spending fake dollars in the United States and had undergone rehabilitation at Gbagada General Hospital in Lagos.